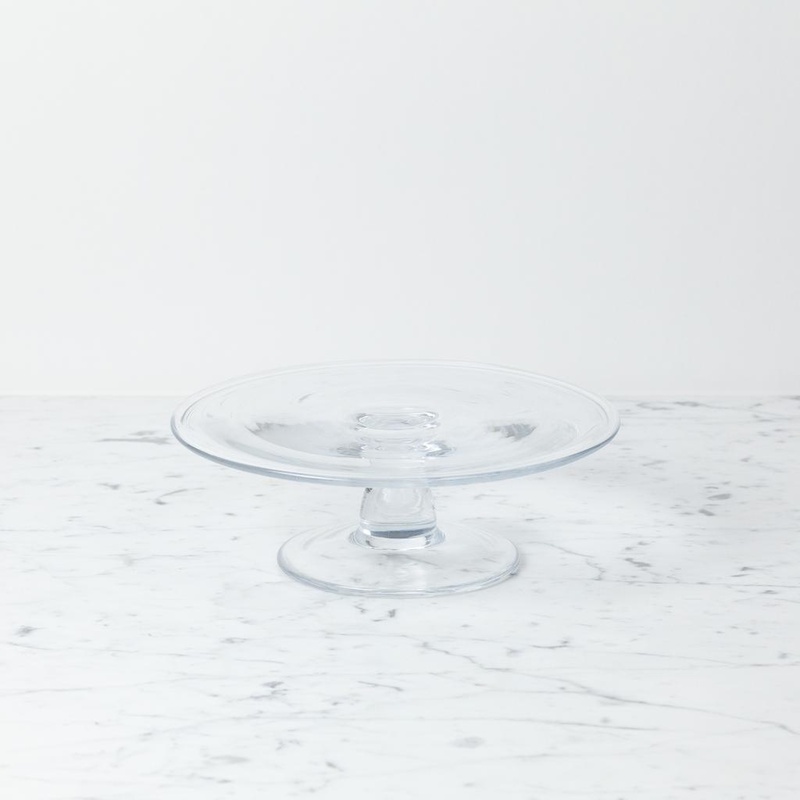 Clothilde Glass Cake Stand - Small - 9 1/4" x 3"
Home / Clothilde Glass Cake Stand - Small - 9 1/4" x 3"
We love this second-generation Belgian glassware line's lovely organic forms, pretty palettes, and tiny bubbles. The bubbles—and the other delicious subtle variations in each piece—come from the (very old-fashioned) practice of mouthblowing the glass using wooden molds to form the shape. Every time the mold is used, the heat of the molten glass burns out the wood just a little bit, giving each subsequent piece an ever-so-slightly different character. 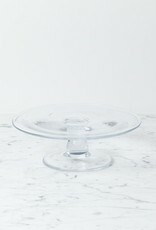 This gorgeous, organically formed glass cake stand is simplicity incarnate. It's just begging for your favorite Almond Torte or Croquembouche.